Parenthood comes with all the challenges you may be thinking of. From taking care of the child, teaching them good values and morals are just some of the responsibilities that parents have immediately a child comes into their lives. 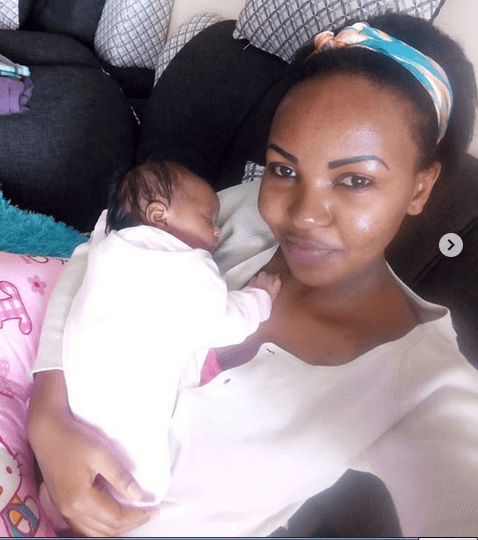 For the former Pulse Live journalist Carolina Carlz, things seem to be okay as she welcomed her firstborn daughter some time back and is now enjoying parenthood together with her mzungu husband. Carolina started as a vixen before she made it in the media industry and since then her life just turned around and since giving birth, smiles are always written all over her face symbolizing how happy she is. 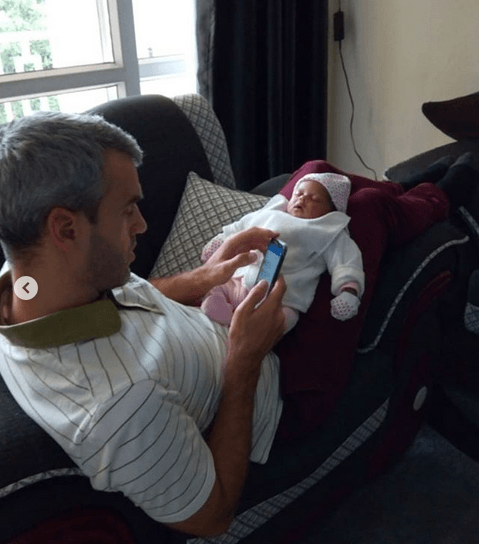 Carlz has decided to share lessons on how to take care of a child and through her gram posts, she compares how she cuddles the baby to how her husband does it. The newly mother has accepted her role as a mother leaving all followers excited of getting a child. For those who are pregnant and those that are planning to, Carlz is inviting you for classes. Congratulations Carlz on your motherhood and we are looking forward to a blessed journey as we keep developments of the baby. Mommy Vs Daddy 😂😂😂… I win on this or what do say? ( baby burping methods). Best duty in the world…all we do eat, pee,poop,cry, bath,sleep and repeat! Enjoying every step of the way besides when she starts choking and u freeze for a moment tryna remember CPR of when a baby chokes on milk. COUPLES ALERT! Noti Flow Confirms Relationship With Colonel Mustapha!